Leeds has a fantastic calendar of Farmers Markets throughout the year, have you been to any or all of these vibrant local produce markets? If not why not? support your local farmers and producers. 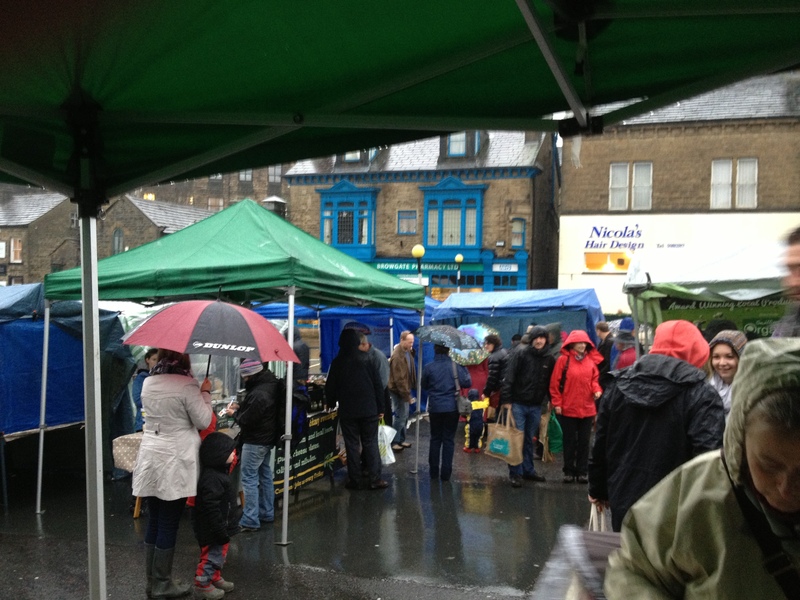 Last Sunday – Otley Farmers Market, 9am-1pm. A small but vibrant and friendly farmers market brilliantly run by a dedicated band of supporters from Headingley Trust. Set in the heart of Headingley in the Rose garden outside The Arc and opposite the Headingley Taps, sorry I can’t help but use pubs as landmarks! Regular stalls include all the main food groups! 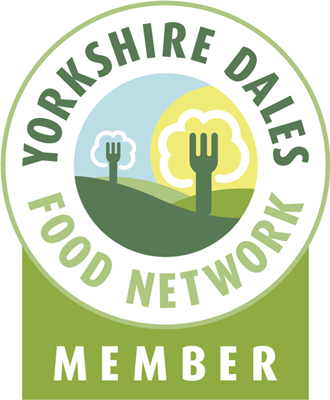 Pies, Fish, Veg, Salt’s Deli, Venison, Charcuterie, Meat, Yorkshire Chorizo, Olives and Oils, Thislemist Soups, Eggs, Swillington Organic Farm, Mushrooms, Apple Juice, Honey, Bread and Cakes. 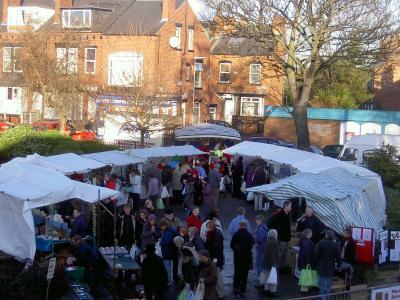 Oakwood farmers market takes place on the 3rd Saturday of the month by the Clocktower in Roundhay Park. Friendly market with guest stalls and occasional entertainment, brassbands and all. Held in the lower car park and stocks area in the middle of Baildon. Nice busy market, don’t be put off by the photo it was a horrible day but still bustling ! Stalls include, Cheese, Swillington Organic Farm, Thislemist Farm Soups, Scotch Eggs, Bread and Charcuterie. Allegedly the largest indoor market in Europe? 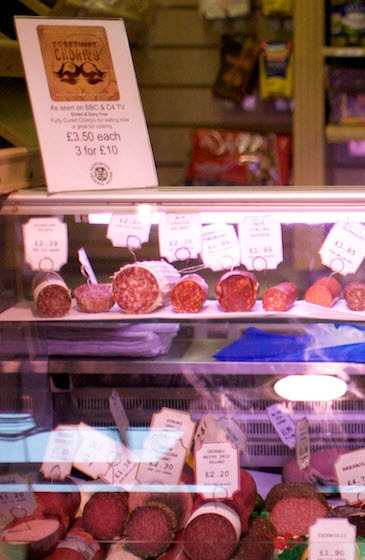 Kirkgate market has an eclectic mix of stalls from buttons and ribbons to a South African Butchers and most things in-between. If you run or know of a farmers market I have missed and think should be included here please get in touch. 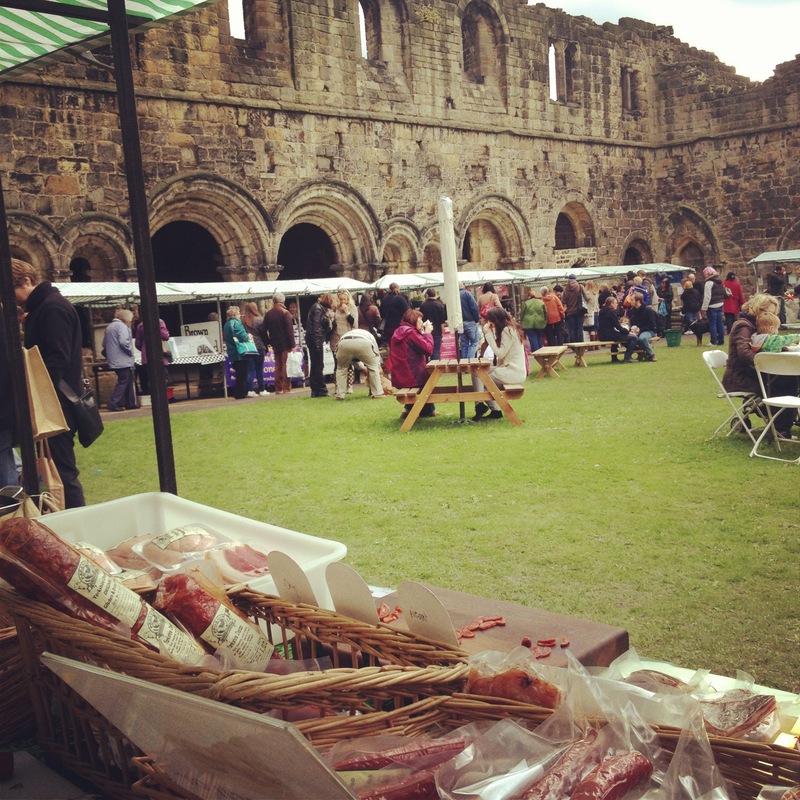 This entry was posted in Eating, Events, farmers market, Food, Leeds, Yorkshire, Yorkshire Dales Food and tagged Baildon, Farmer, farmers market, Farmers Markets, Kirkstall, Kirkstall Abbey, Leeds, local food, Roundhay, Roundhay Park, West Yorkshire. Bookmark the permalink. Hi, thanks for this post! 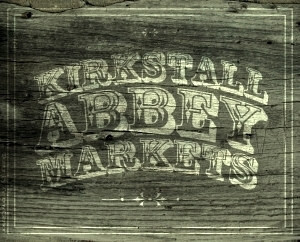 i knew of a few farmers markets but kirkstall, baildon, otley and roundhay are most closer to home. i will be checking these out! Brilliant, just what I needed to find!! I’m always looking for new Farmers Markets to try so this is perfect, thank you!